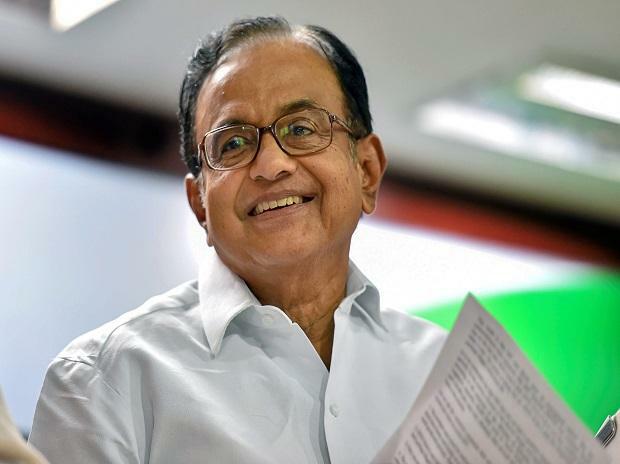 Senior Congress leader P Chidambaram Friday said the Rs 600 billion worth Rafale deal should not go "unchallenged" after the Supreme Court expressed its limitations to examine it because of its jurisdictional limits. He alleged the Centre deliberately misled the court and later accused it of "misinterpreting" the note. "The government is also giving lessons in English grammar to the court," he told reporters. "A defence deal worth Rs 600 billion that will leave the country with only 36 aircraft, as against 126 contracted for under the UPA, cannot go unchallenged or unexamined, especially after Supreme Court expressed its limitations to examine the case due to jurisdictional limits," Chidambaram said. The party (Congress), therefore, is taking up the cause before the people and asking them to support its demand for a Joint Parliamentary Committee (JPC) to probe the deal, he said. The former Union finance minister also questioned the decision to cancel an earlier MoU and enter into a new agreement. The governments of India and France had entered into an MoU under which India would buy 126 Rafale twin-engine multi-role fighter aircraft, he said. ALSO READ: Letter to BS: Why HAL was not picked as offset partner in Rafale deal? The price per aircraft discovered through an international bid opened on December 12, 2012 was Rs 5.26 billion, Chidambaram said, adding Dassault, the manufacturer, would supply 18 aircraft in fly-away condition. The remaining 108 aircraft would be manufactured in India at the Hindustan Aeronautics Ltd's (HAL) facilities in Bengaluru using Dassault technology that would be available to HAL under a Transfer of Technology agreement, he said. announced the new deal on April 10, 2015," he added. Chidambaram also questioned the government for its decision to buy only 36 aircraft when the need was for at least 126 aircraft. He said by all accounts, the government was purchasing the same aircraft from the same manufacturer under the same configuration. "The last phrase is found in the joint statement dated April 10, 2015. Is it true that the price per aircraft under the new agreement is Rs 1,670 crore (as disclosed by Dassault) and, if true, what is the justification for the three-fold price increase?" he said. The former finance minister said if the price of the aircraft under the new agreement was indeed cheaper by 9 per cent, as claimed by the government, "why is it buying only 36 aircraft and not all the 126 aircraft offered by Dassault?". He also asked the reason for scrapping the agreement to transfer the technology to HAL, which has an experience of 77 years and has manufactured a variety of aircraft under licence from the respective manufacturer. "When entering into the new agreement, there was no mention of Transfer of Technology from Dassault to HAL," he said. Chidambaram said former French president Francois Hollande had disclosed that the Indian government had suggested the name of a private sector company as the offset partner, and that France and Dassault had "no choice" in the matter. The Centre, however, has denied that it had suggested the name. "The question that arises is, did the government suggest any name at all and, if not, why did it not suggest the name of HAL?" the Congress leader added.